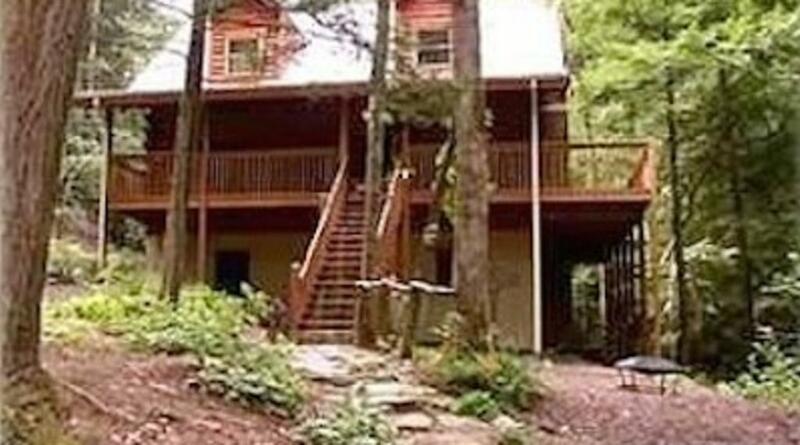 Stunning 'Dream Catcher' is a new log home peacefully situated on almost two acres of lush woods. 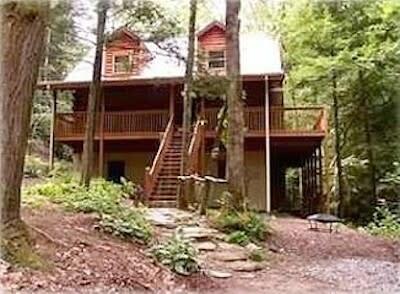 The sounds of flowing water serenade the cabin whose porch overlooks a meandering stream. Located in the beautiful Riverbend community 'Dream Catcher' is a dream come true. Upon entering its warm embrace you too will relax in its charm. Nothing was left out when breathing life into this already lovely log cabin. Open beam construction and beautifully decorated featuring three bedrooms, three full bathrooms, basement, playroom, loft, family room with wood burning fireplace, and stocked kitchen. There is even a mud room with washer/dryer and utility sink with access to the three sided deck so the kids can kick off their dirty boots after an afternoon of playing in the creek.